Every year without fail, people flock to the foot of Croagh Patrick on Reek Sunday. 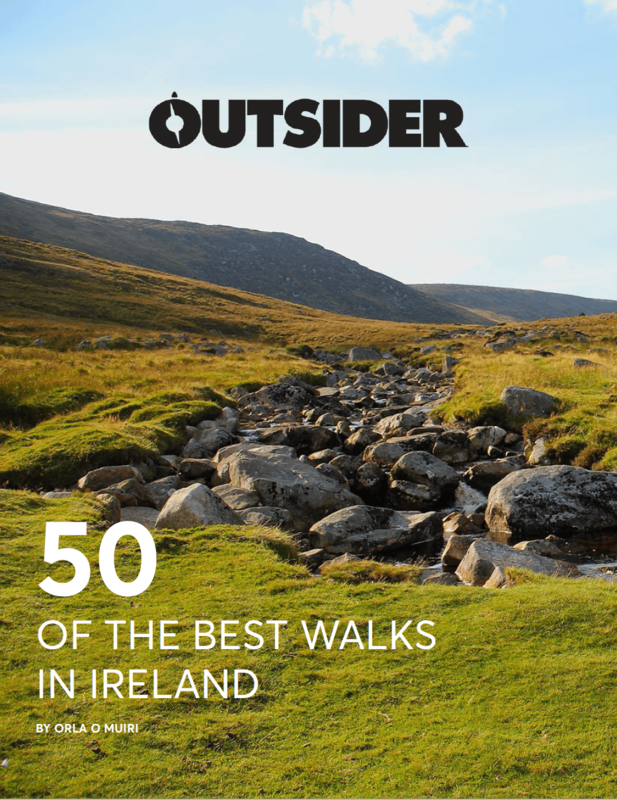 They pull off their runners, peel off their socks and set about slowly making their way up the side of Ireland’s most holy mountain in an act of penance. The tradition is over 5,000 years old and it’s so ingrained in our history that no one bats an eyelid if you were to mention doing it. But Claremorris local Eamonn Keaveney (26) has taken the art of baring one’s soles to a whole new level. 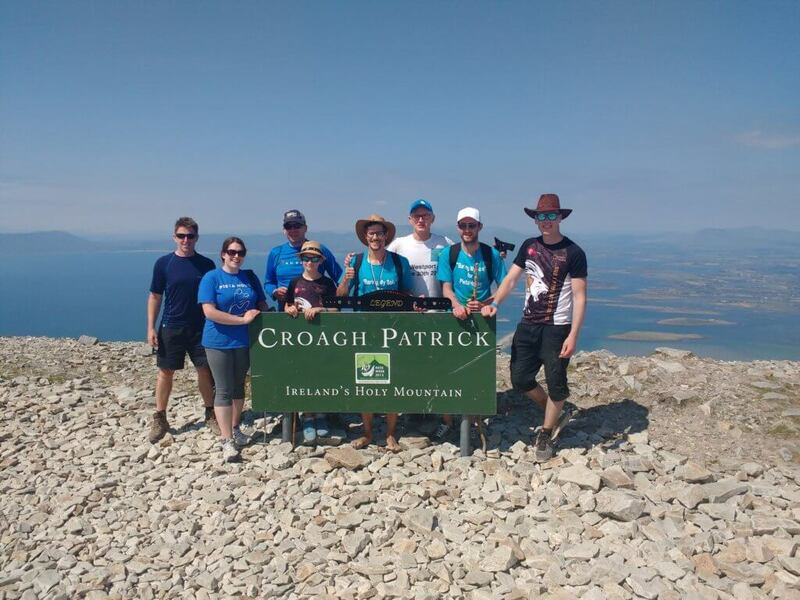 In 2016 he walked barefoot for 2,000km around Ireland in aid of Pieta House. 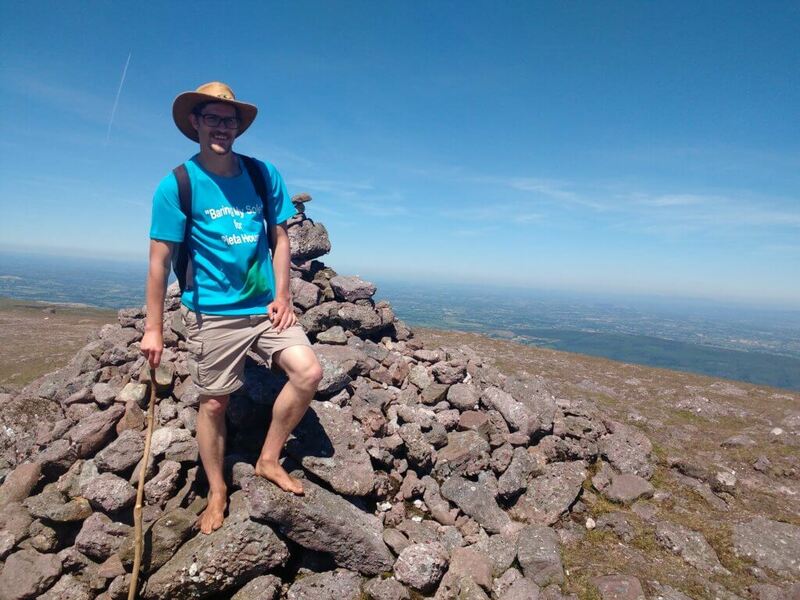 And this summer, he climbed 10 of Ireland’s highest mountains in 10 days… also barefoot. And it all sounds quite idyllic until you start talking about Eamonn’s toes. “You know when you go hiking and you get to the cairn at the top and it’s covered in clouds and you stare out into the mist for a while and then you go back down. It’s still really nice and you’re exercising but you kind of want that cherry on top, you want to be able to look out across the land. I got that ten times over on this challenge which was just amazing. 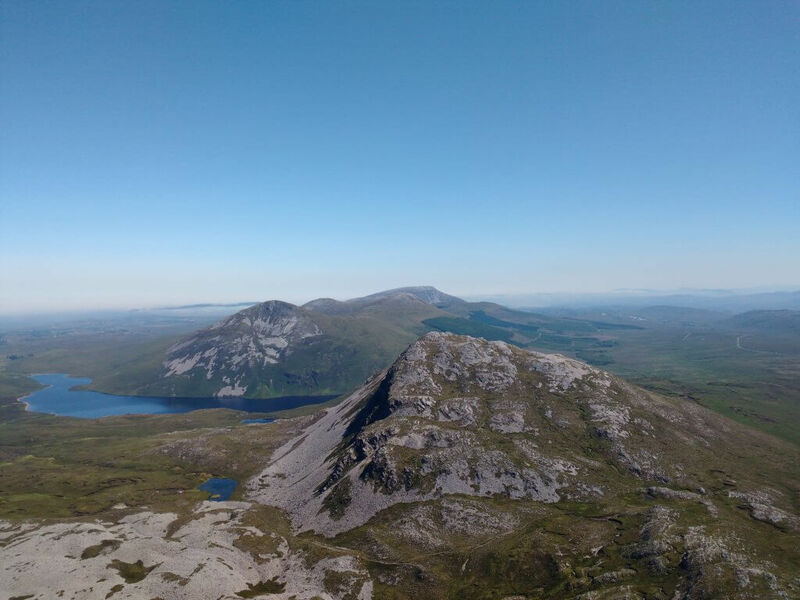 The peaks that Eamonn climbed were Mweelrea in Co Mayo, Mt Brandon and Carrauntoohill in Co Kerry, Galtymore in Co Tipperary, Mt Leinster in Co Wexford, Lugnaquilla in Co Wicklow, Slieve Donard in Co Down, Sawel Mountain in Co Tyrone, Errigal in Co Donegal and Croagh Patrick in Co Mayo. If you are considering dissing the boots and going barefoot after reading this, Eamonn says that there are two things to be wary of. “Number one is the actual cuts when you hit off something. The toes are the weak spot because they are the most likely to hit against something with force. And the skin on top of your feet is fairly weak because it’s never really exposed. 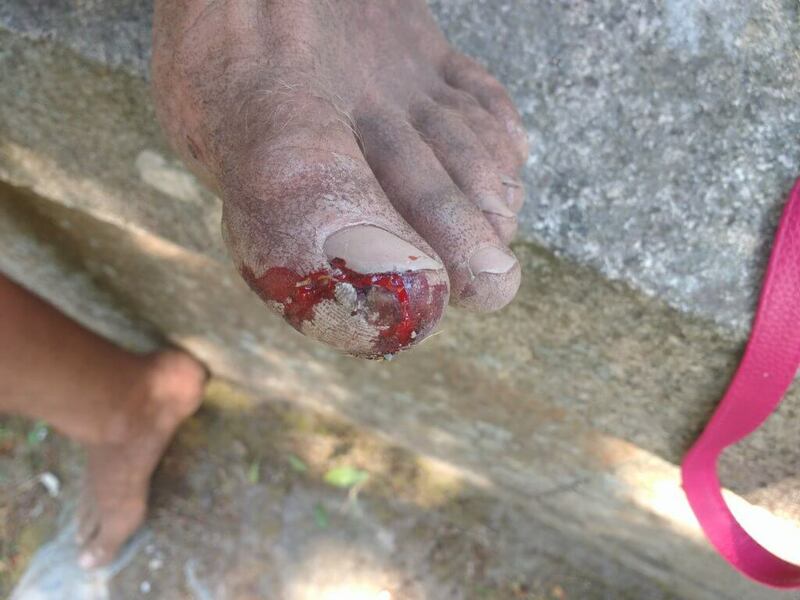 “On a challenge like this, my feet didn’t have any time to heal. You are trying to put on plasters but the terrain takes them off or they get wet and become useless after a while. Then stuff is poking into your wounds which hurts and dirt gets into them. I got cut three times on the third mountain, Carrauntoohil and those cuts were an absolute pain in the …foot. If you want to donate to Eamonn’s cause, you can do so on his Just Giving page.